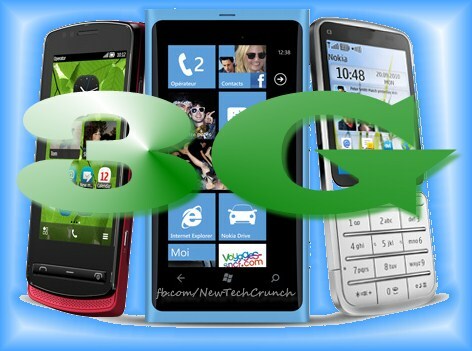 Why Should You Use 3G Mobile Phones? 3G is short for third generation wireless technology. It is an iterative wireless technology. Meaning, it has several enhancements to it over previous wireless technologies. There are multiple characteristics of 3G technology. Some of them are high-speed data transmission, multimedia streaming, and global access to digital content. 3G is mostly used in conjunction with handheld devices. Many people are confused as to the need to buy 3G mobiles phones. The following information inspects some of the advantages of using 3G phones. The wireless capabilities offered by 3G technology allow you to send and receive data over a high-speed network. The connectivity is irrespective of the geography and time. 3G mobile phones enable you access to digital data in all parts of the world. Everything is quicker. Be it uploading or downloading, the speed of data access is faster and better. 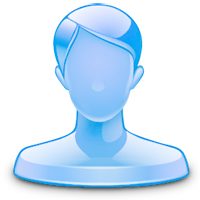 You can conduct activities such as video calling without experiencing latency. It is the birth of 3G technology that has provided video calling technology the much need impetus. 3G mobiles also allow you to use them as modems. Using them this way allows you to send and receive data via your laptop. 3G mobile handsets allow you to stream and access multimedia files without latency. One of the main reasons to use 3G mobile phones is to access information faster. No matter where you are and where you are going, your mobile phone has all the information. You can be updated on the latest news on weather, sports, politics, and what not. When there is a cricket match going on, you don’t have to lose out on the action. A 3G mobile phone allows you to view the match live. There are so many popular online video streaming sites. You just connect to one such site and your mobile phone is able to download and play the video because of the 3G network. 3G mobile phones provide super-fast data access. Importantly, the data downloaded and uploaded has the virtue of being reliable. Integrity of data is another common consideration. 3G mobiles phones are able to fulfill all this criteria. Not only do 3G mobile phones offer you reliable access to data, they can do it without any type of transmission noise. They generate less signal noise and are able to accomplish the task without problems. This aspect enables cellular service providers to line up a slew of multimedia downloads for their users. In spite of the inbuilt 3G technology, the prices of 3G mobile handsets are more or less the same. This is another important consideration when choosing a 3G mobile phone over a normal mobile phone. It won’t be long when 3G becomes the norm in every basic to advanced mobile handset that is manufactured. 3G mobile phones have changed the paradigm of telecommunications. Now it is possible to be connected in a better way to everything around you with 3G mobile phones. Therefore not having a 3G mobile phone is like not being with the times. This Guest article is contributed by Mr. Sanjeev Kumar , He is working with India's leading comparison shopping website iShopper that letting users to compare and find lowest prices of mobile phones in India including 2G and 3G phone prices. If you'd like to guest post for US check out our Write for Us page for details about how YOU can share your knowledge with our online community. very impressive article, using an advanced technology could helps us in many ways like data downloading, faster access than normal phone. how ever some disadvantages also like connectivity issues, hardware and software faults.